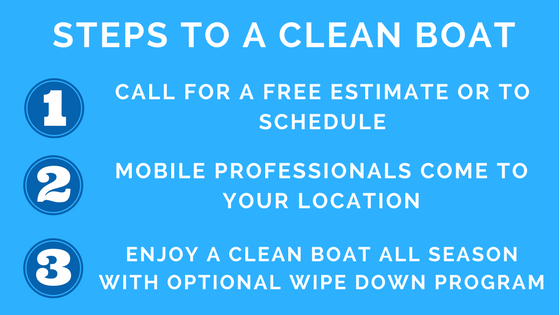 Why Have Your Boat Professionally Cleaned? 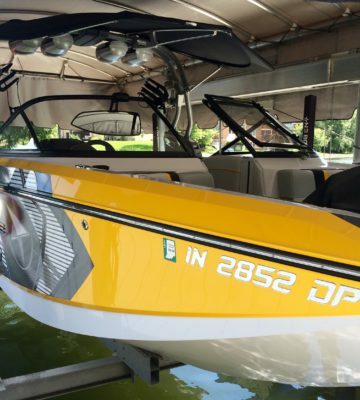 Boats are known for sharp decreases resale value in their first few years, mainly because most owners don’t care for their boats properly. They are constantly exposed to extreme conditions from harmful UV rays that dull the gelcoat, to bug droppings that stain the surfaces and need to be cleaned regularly. 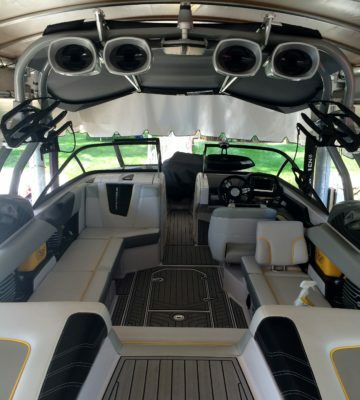 Regular cleanings require a lot of valuable time that could be spent enjoying the day out on the water with family and friends, but we can help! 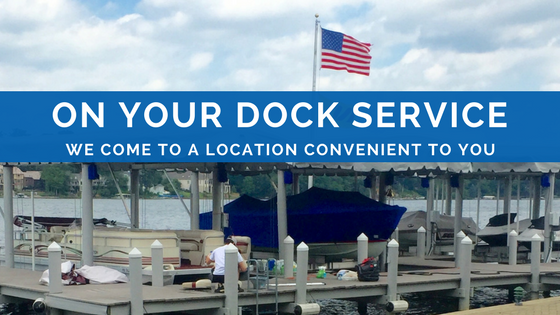 Our professionals specialize in cleaning and shining your boat while it’s on your dock at home, in your driveway, or at the marina…all at a reasonable price you can afford! Give us a call for a free estimate and let us earn your business today.